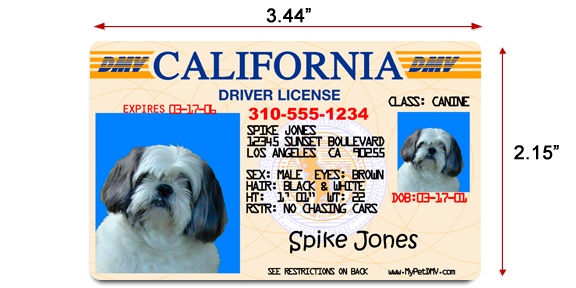 Looking for a Pet ID that looks like a Pet Driver’s License Tag? You’ve come to the right place. Our Pet IDs come with (1) large wallet sized Pet ID Card that looks similar to an actual Driver’s License and (3) smaller versions. 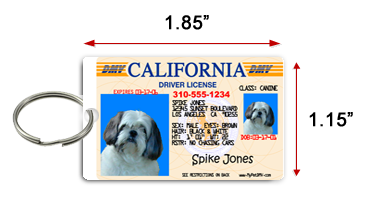 Here is an example size of the Pet Drivers License ID: Included with each order are (3) Mini Key Chain IDs to place on your Pet’s collar or your keys.